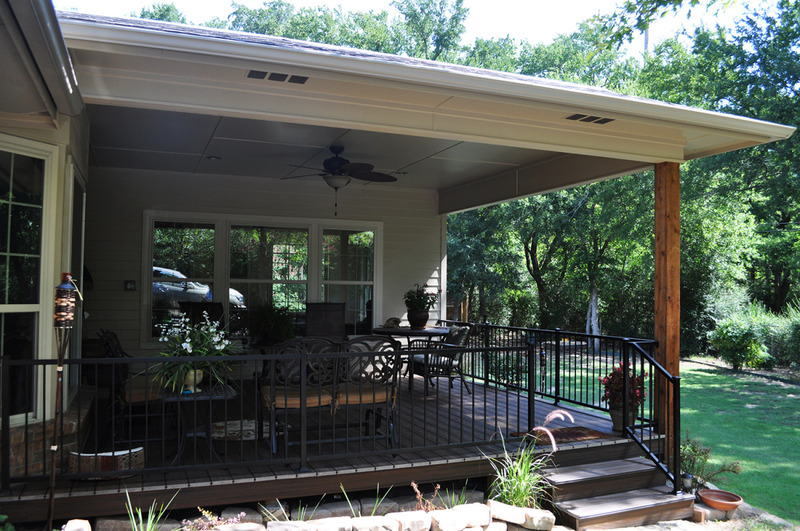 This project included adding a covered patio to the back of the home and a sunroom addition. 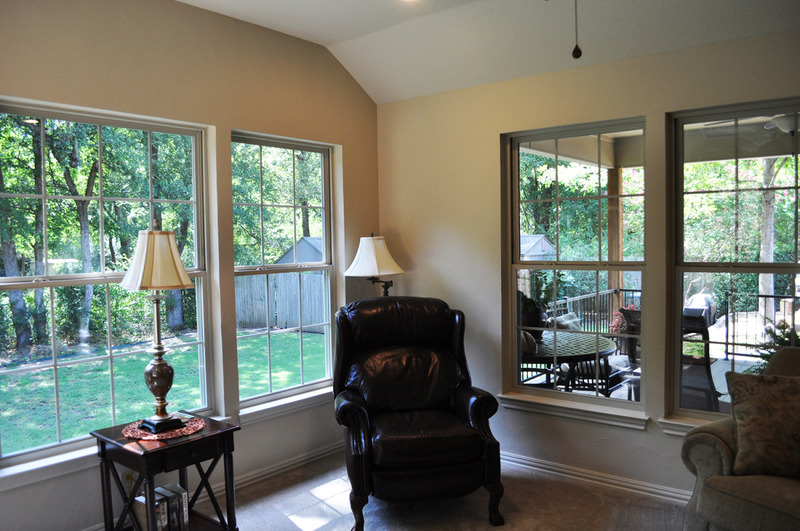 Both additions matched the style of the original home seamlessly. 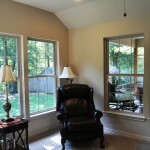 A stone fireplace was also added to the living area of the home. 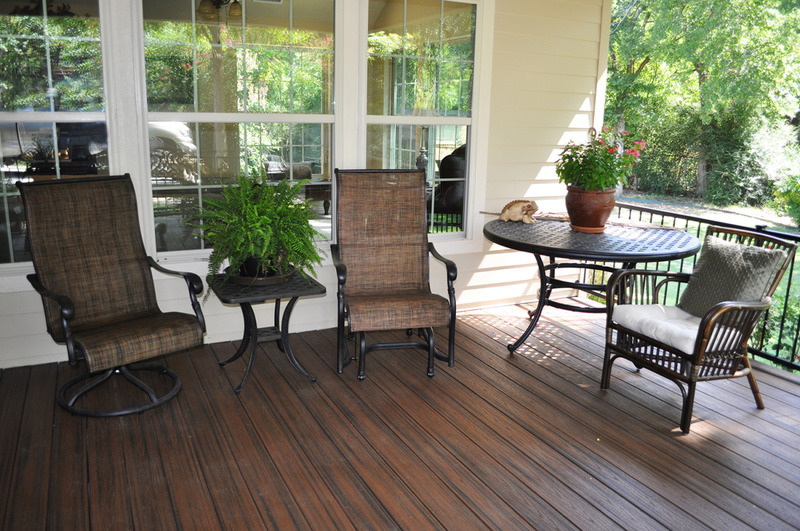 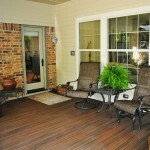 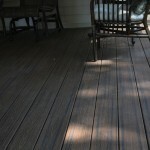 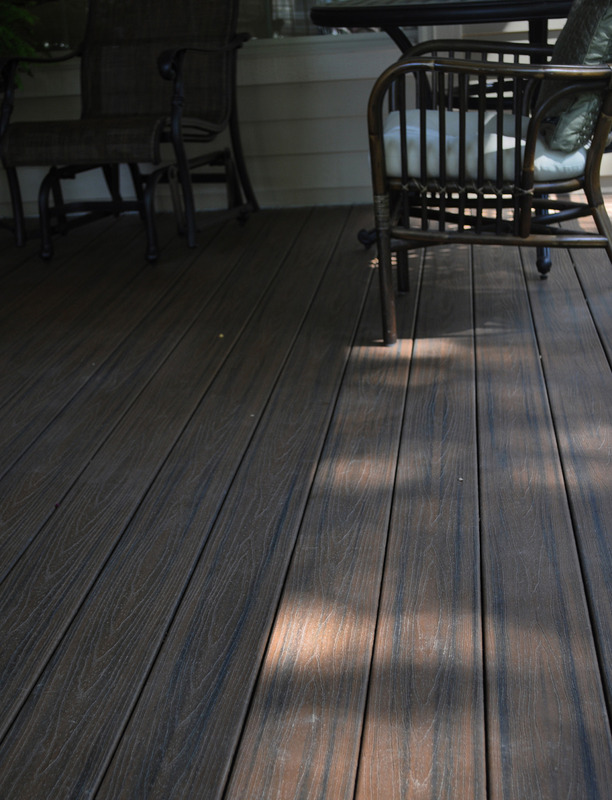 The patio deck was constructed using fade-resistant synthetic wood which is durable and resistant to the natural wear and tear inflicted by outdoor weather. 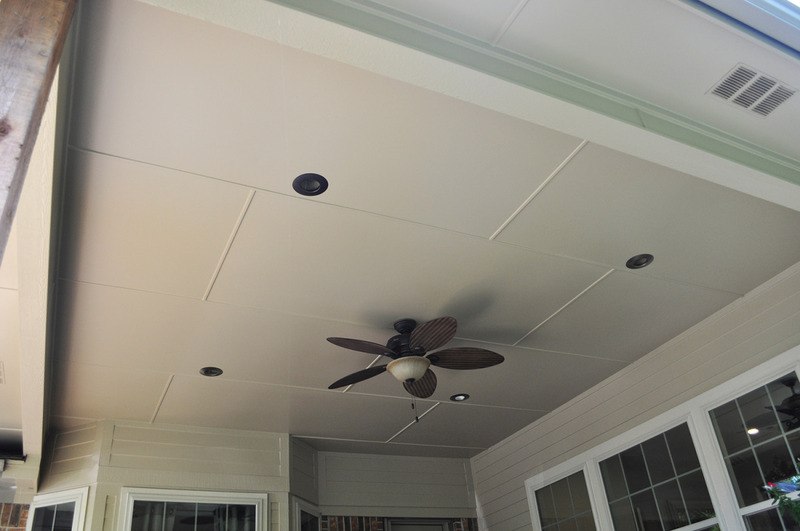 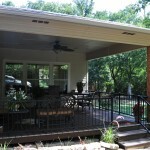 Covered patio allows protection from the summer sun and from rain. 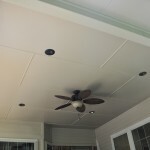 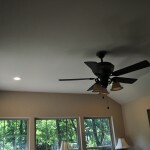 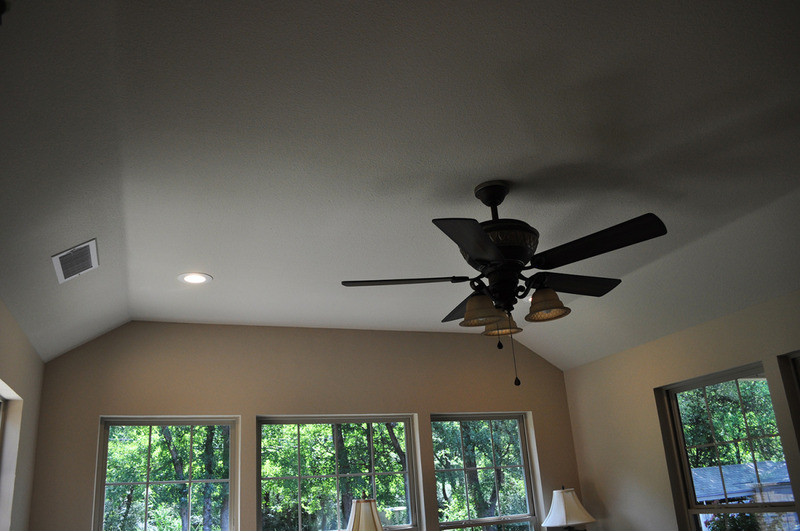 The decorative features and ceiling fan on the patio ceiling is consistent with the details and design of the patio and keeps it cool during warmer weather. 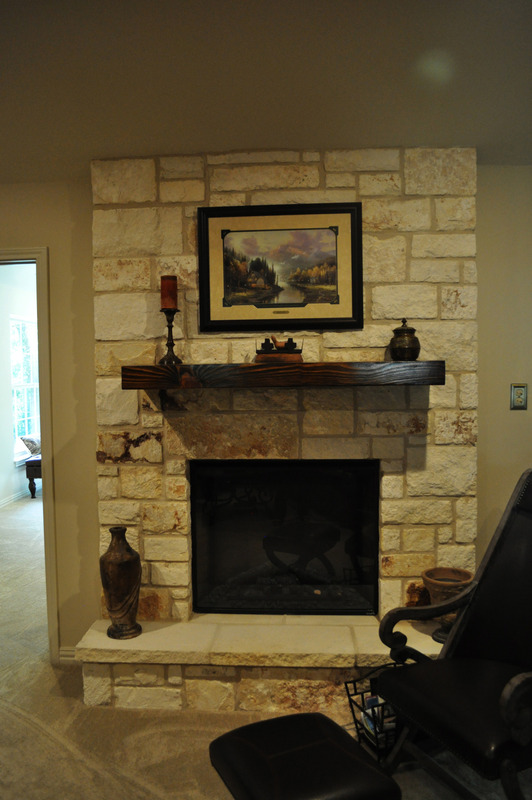 An Austin stone enclosed glass fireplace was built and installed in the living room and included a wood mantel. 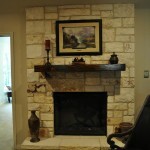 This type of fireplace is much more simple to ignite than traditional fireplaces. 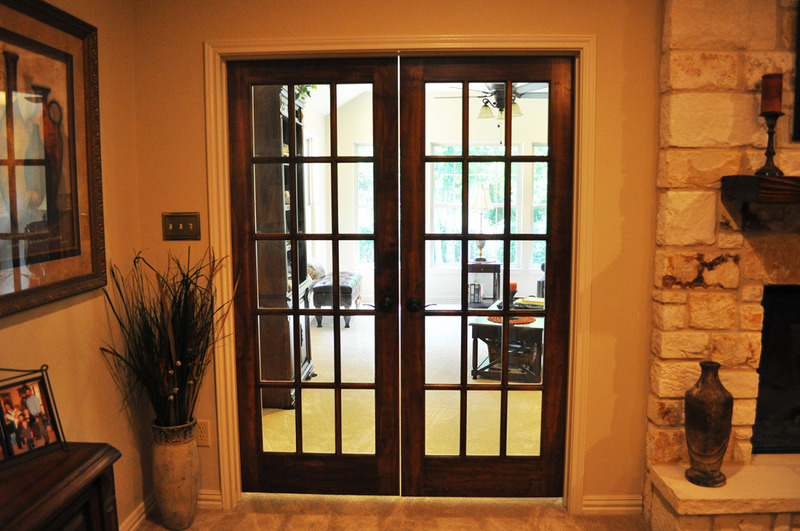 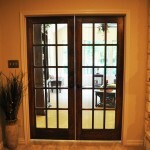 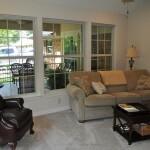 Double french doors lead to the newly added sunroom. 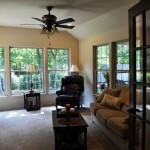 The sunroom was added to and consistent with the existing structure of the home. 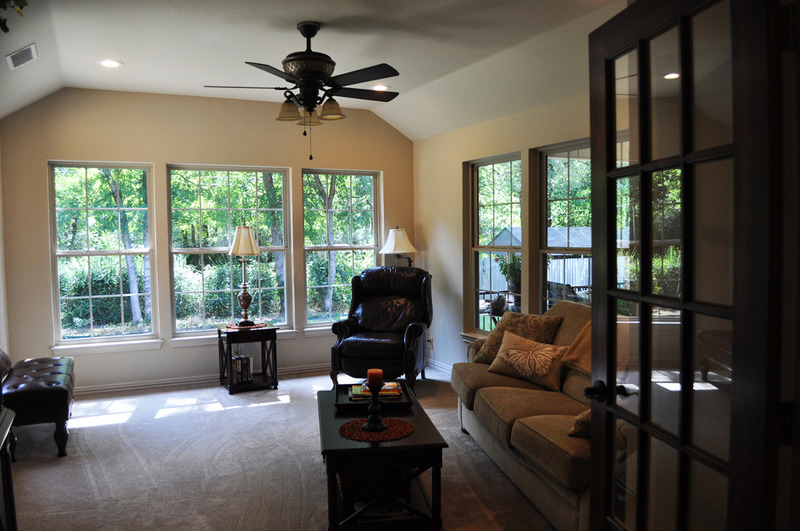 Double-pane insulated windows were installed in the sunroom and existing windows throughout the home were replaced to match. 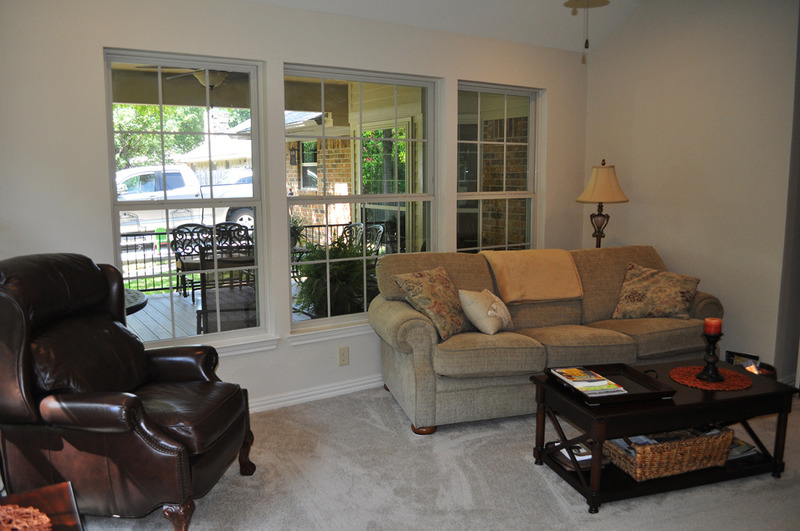 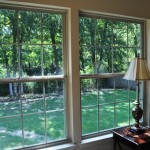 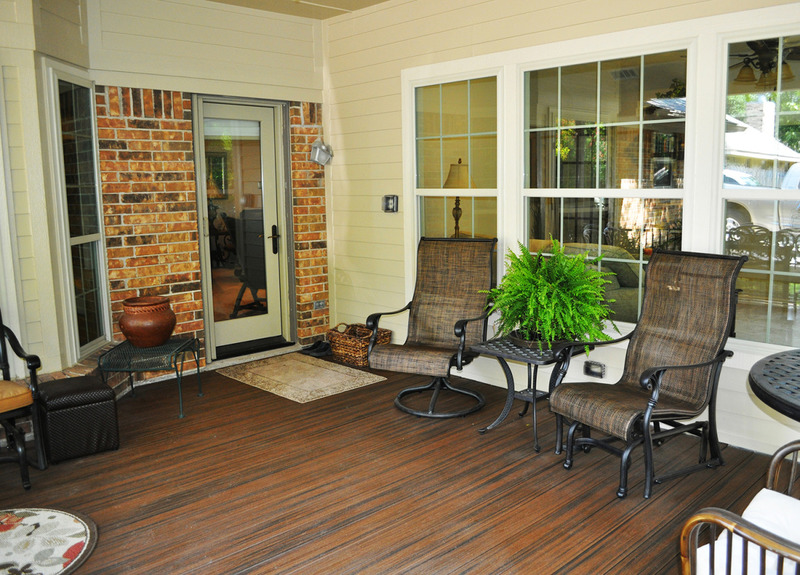 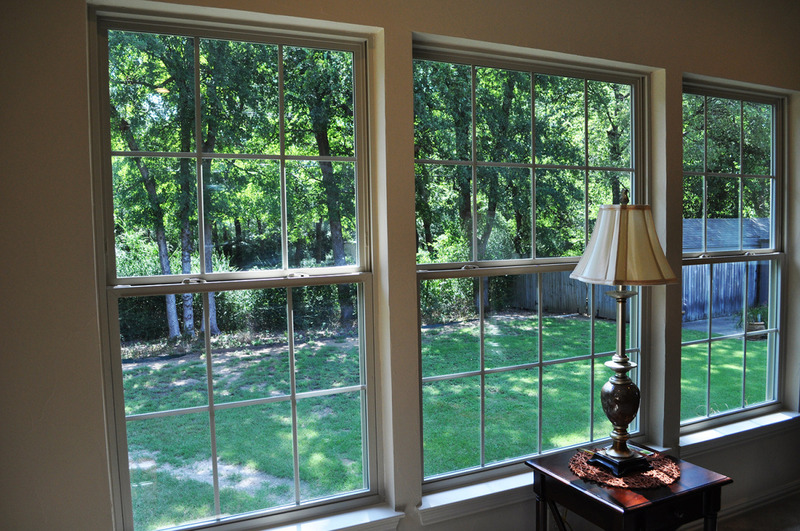 Windows throughout the sunroom provide great views of the backyard and the newly added patio.